Professor in the College of Pharmacy Dr. Condit Steil was recently honored with the Doc E Award, a recognition given for long-term service and a strong interest in the welfare of campers that come through Camp Seale Harris, a diabetes camp for children held in Alabama each summer. 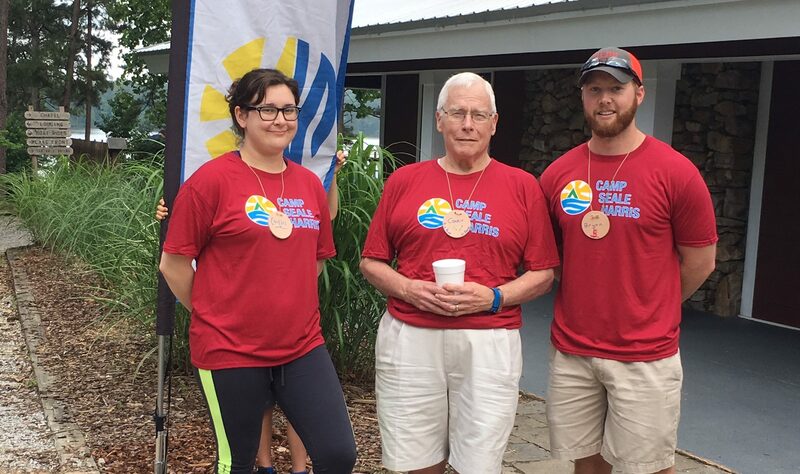 Steil has been volunteering with the camp for the last 20 years. As a staff member at camp each summer, Steil is responsible for assisting in the growth and development of young people with diabetes as they acquire the skills and understanding to achieve stronger control of their lives. But Steil’s experience at camp doesn’t stop with his own time on staff. He also provides an opportunity for fourth-year Belmont College of Pharmacy students to participate as an advanced pharmacy practice experience. Seeing his students interacting with the campers he’s spent years serving provides a meaningful experience that Steil says he’s grateful for. “This provides an opportunity for my students’ confidence to grow as they provide support an care in a different surrounding that what they’re used to,” he said. Moving forward, Steil plans to serve as a staff member at Camp Seale Harris for as long as he can.